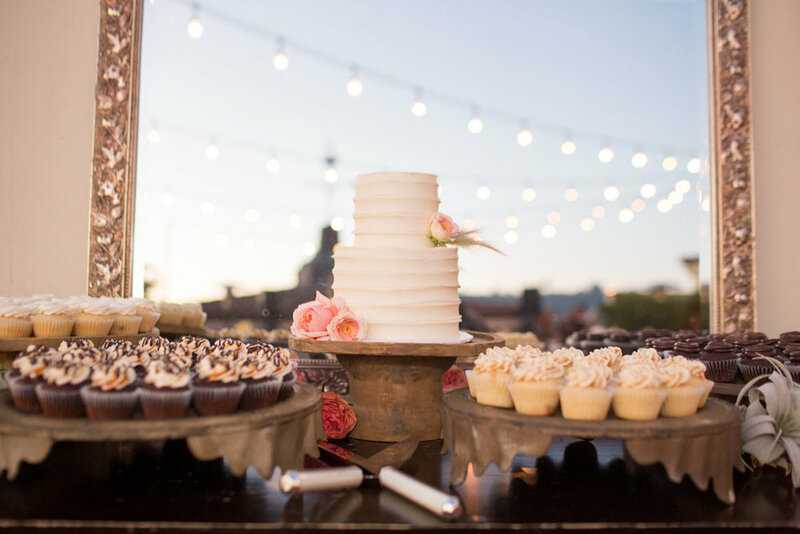 An intimate wedding with a rooftop view from the Canary Hotel, photographed by the talented Anna J Photography, was the perfect combination for this bride and groom’s special day. 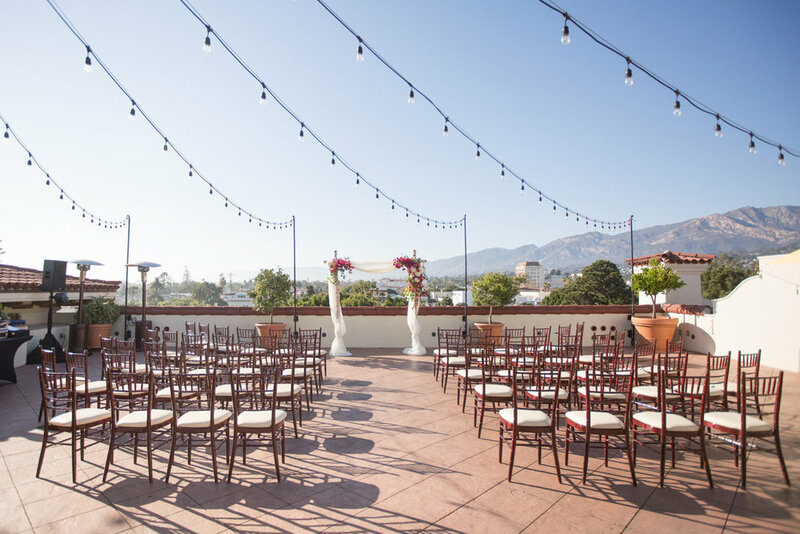 The ceremony was set close to sunset and the guests were able to enjoy beautiful views of the surrounding Santa Barbara architecture. 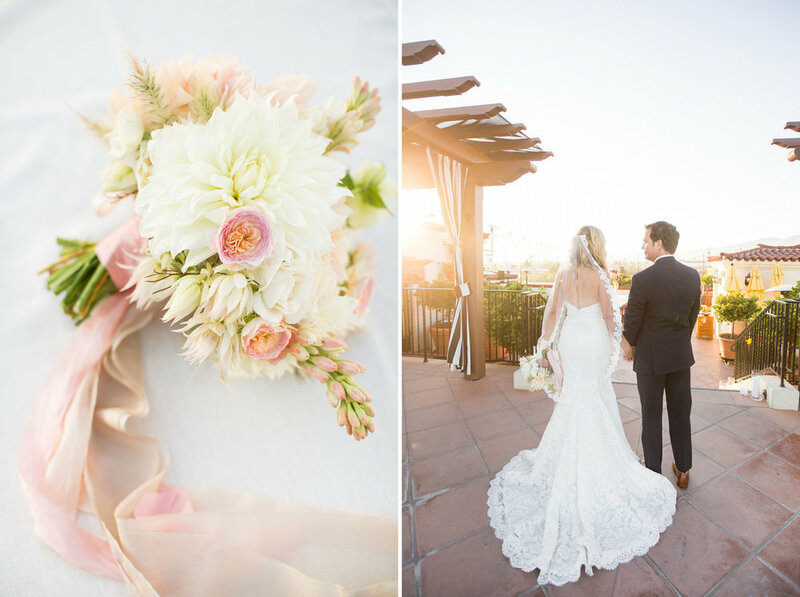 The bride wore a strapless, lace gown and carried a large bouquet of blush tones crafted by Coco Rose Design, and the groom wore a suit with a striking silver tie. During the ceremony, the couple was framed perfectly by an arch draped with linens and perfectly arranged flowers including the ever-popular bougainvillea found throughout the local Santa Barbara community. After the ceremony, the guests enjoyed dinner under strings of market lights that added to the star-studded sky as the reception carried on into the evening. 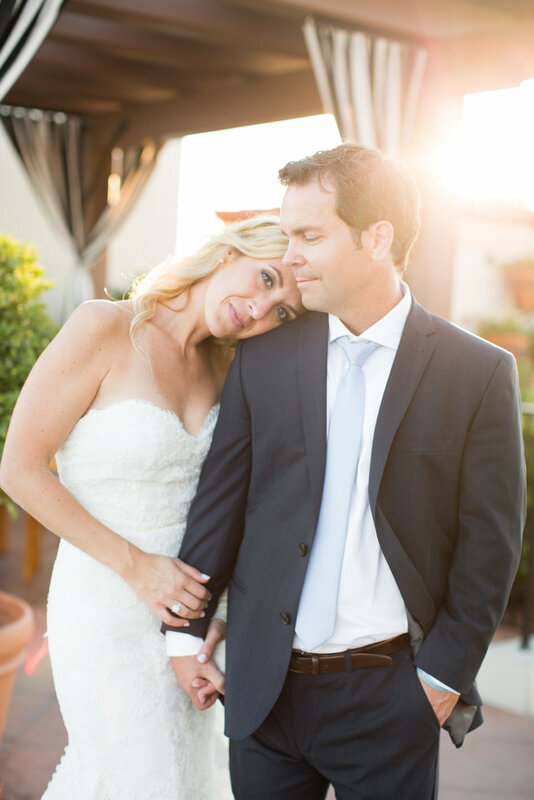 This lovely wedding was expertly coordinated by Simply Santa Barbara Events.